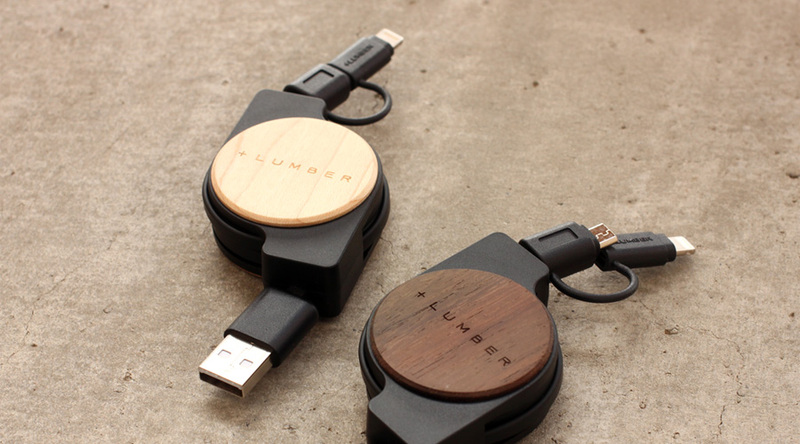 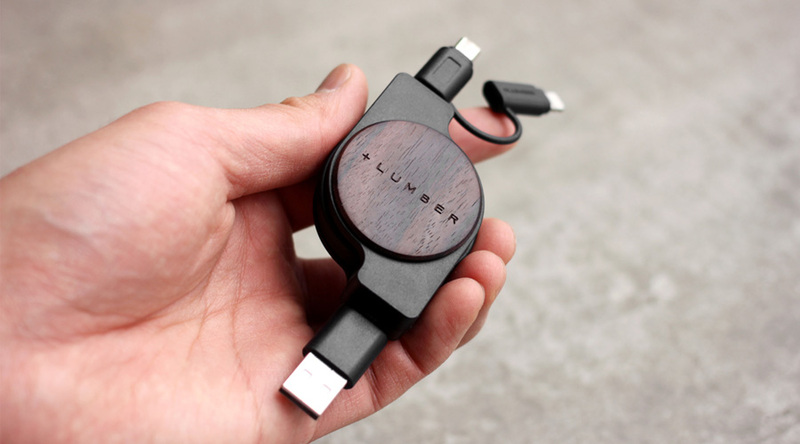 Portable cable with fascination of precious wood. 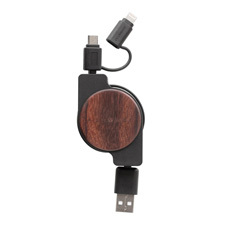 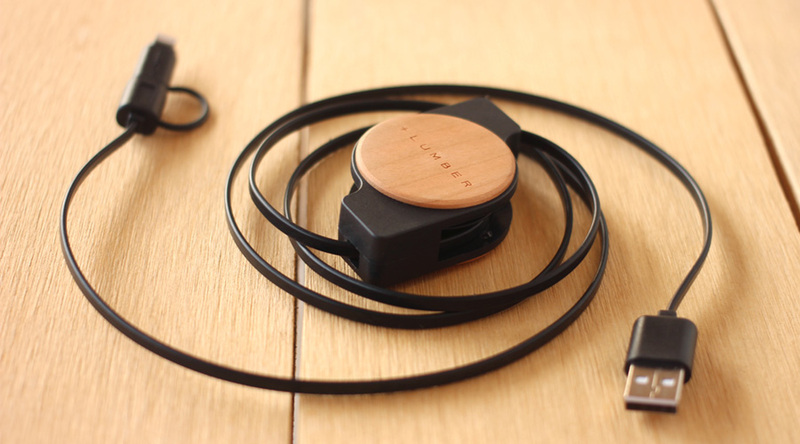 The cable for data transfer and quick charge can be extended to 1.2 meter length maximum. 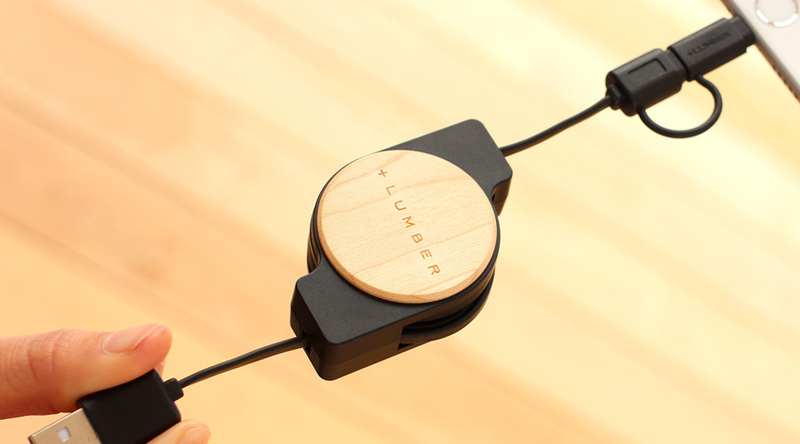 The 5-step stopper mechanism allows you to adjust the cable length and restrain entanglement. 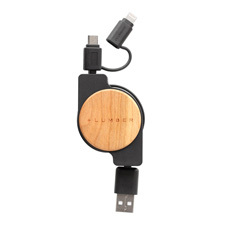 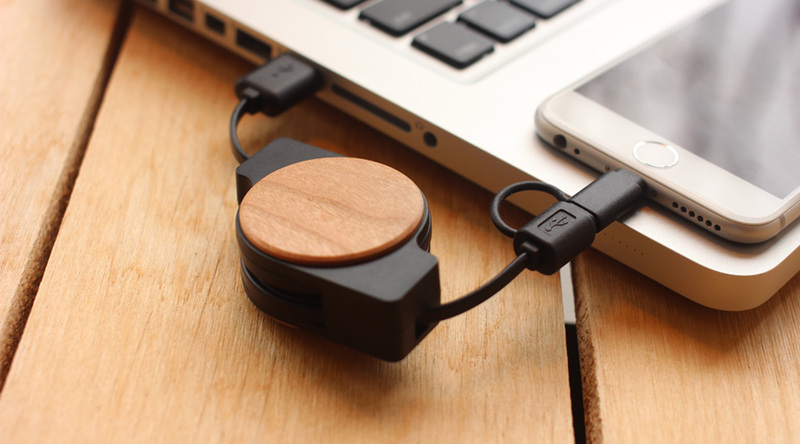 This 2in1 retractable cable equipped with both micro USB and Apple certified MFI Lightning adaptor makes it even more exceptional.